What's on Netflix > Netflix News > Attack on Titan Season 2: Netflix Release Date & Season 1 Removal? Attack on Titan Season 2: Netflix Release Date & Season 1 Removal? Attack on Titan is a lot of anime fans favorite series and with it constantly being up for removal, especially over the past month or so. We’re going to take a look and see whether or not Season 1 of Attack on Titan is leaving Netflix. Plus we’ll cover whether and when Season 2 of Attack on Titan will be on Netflix in different regions. Season 2 has been confirmed by the creator to be a complete departure from season 1 but what that entails isn’t strictly known. Either way, most of you have been waiting a long time for season 2 and given that Netflix is their main way of watching the first, you’ll be anxiously waiting for news about season 2 on Netflix, so here’s what we know. Hang on a second, isn’t Attack on Titan leaving Netflix? For those who have Attack on Titan in their queue, you’ll know that Attack on Titan has been scheduled to be removed from Netflix for months. More recently, it was scheduled to removed from Netflix on January 10th, 2017 but that date has come and gone. Netflix is now showing scheduled to expire on February 10th, 2017. At this point, it’s hard to tell whether or not Netflix is bluffing so we have to look beyond Attack on Titan. In January, there were quite a few anime shows that were taken off from Netflix that are distributed by the same provider, FUNimation. Black Butler was among those set to leave, and it did. It’s very much hit or miss as to whether Attack on Titan will leave at this point being one of the last few remaining Funimation titles on Netflix US. As for the UK, it was recently renewed so no need to worry there. When will Season 2 of Attack on Titan come to Netflix? Assuming it does get renewed on Netflix US and does stay, we can come up with a rough date as to when it’d be added to Netflix. Given we haven’t seen a new season in a while, it could mean that we have a long wait. The first season aired in 2013 in Japan and was only added to Netflix in the next couple of years. If that’s the case, it may not be until 2018/2019 at least. The only hope would be that Netflix picks up the license a lot earlier. If that is the case, it’d most likely be arriving in 2018. The UK would be similar but as stated, above it’s hard to say as we don’t have many previous seasons to go by. 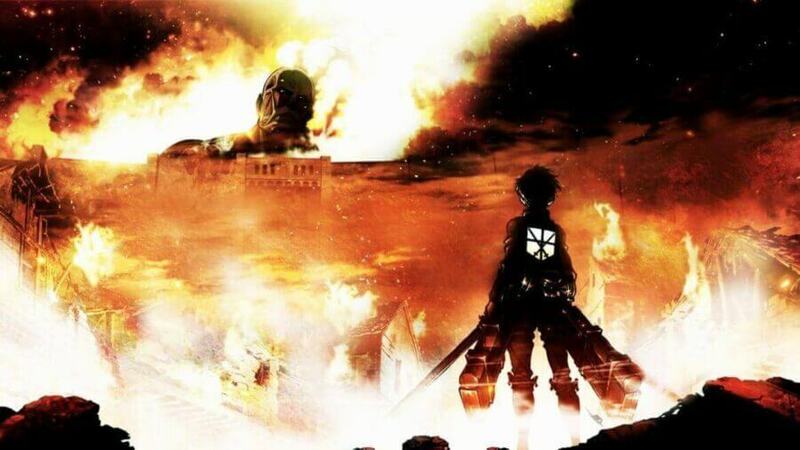 Is Netflix your destination for Attack on Titan? How quickly would you want them to pick up season 2? Let us know in the comments.